Fundrise is an online platform that makes private market real estate investing accessible to the general public via the power of crowdfunding. Real estate crowdfunding sites, like Fundrise, pool money from lots of investors and use the combined purchasing power to invest in property that may otherwise unaffordable to any single investor. For as little as $500, you can gain access to a diversified portfolio of private real estate assets. What Is A Fundrise eREIT Vs REIT? 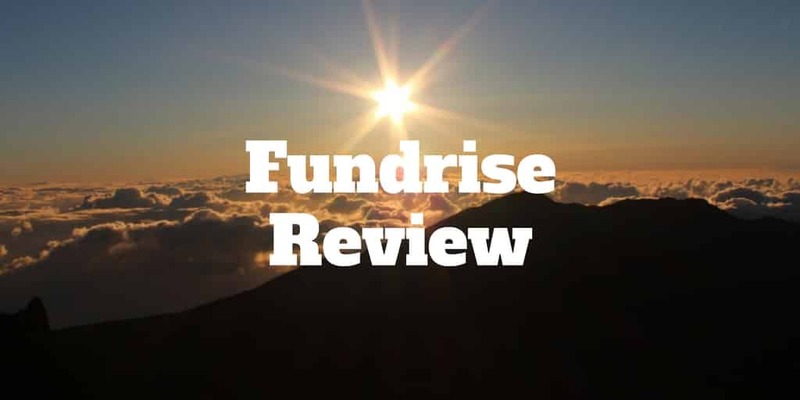 What Is A Fundrise eFund? Is Fundrise Right For You? Which Fundrise Portfolio Is Best? Extra: In Which States Does Fundrise Invest? eFund, which is a tax efficient investing vehicle. An eREIT offers access to private market real estate deals as opposed to public market real estate deals. An eFund pools money from investors to buy land, develop real estate housing, and ultimately sell to residential homeowners. An eREIT is designed to lower the cost to investors of gaining exposure to the real estate asset class versus a conventional, publicly traded REIT, or Real Estate Investment Trust. In a traditional REIT, transaction costs may be high because brokers enjoy chunky commissions. Fundrise eREITs provide direct access to private market commercial real estate assets that are professionally managed without paying a toll to third party intermediaries. Using its technology platform, Fundrise can connect directly with investors so they still gain exposure to a diverse portfolio of office buildings, retail stores, hotels, and apartments. This direct-to-investor business model is designed to lower the fees paid by you, the investor. Fundrise buys land and property, which it develops and sells to residential homeowners as part of eFunds. Land and property are purchased in high potential, high-growth regions of the United States. The idea is to build housing for first-time homeowners as well as home buyers seeking to move-up. eFunds are tax-efficient investment vehicles that provide access to a managed, diversified portfolio of for-sale housing units. For-sale Housing Single-family home buildings in core U.S. cities serving millennials and first-time home buyers. Diversified Each eFund invests in a wide variety of real estate assets. Passive Growth The goal is to grow wealth over the long-term as assets appreciate in value. Direct-to-investor By leveraging technology, investors save as much as 40% according to Fundrise. Long-term Time Horizon: Investors who have a long-term time horizon are best suited to eREITs and eFunds. Unlike the stock market, a private real estate investment trust is not very liquid, meaning you can’t necessarily exit quickly. If you think you will need emergency funds anytime in the foreseeable future, other more liquid investments may be a better fit. Usually, eREIT investments require commitments of around 5 years, though timelines could change depending on various factors, like the economic climate. Passive Income: Investors seeking passive income can earn quarterly dividends. The goal of eREIT investments is to provide investors with consistent cash flow distributions. When an investment has reached its conclusion, you may also enjoy an additional payout from gains. Diversification: Investors seeking geographic diversification (otherwise unattainable through solo investing) get exposure to properties in multiple states. 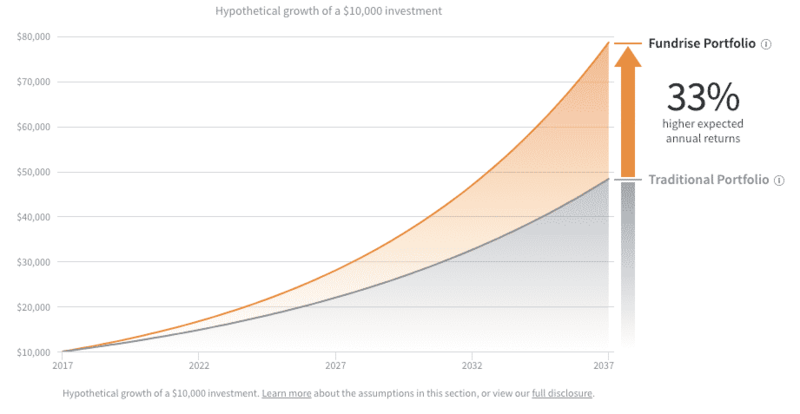 Fundrise claims the return potential is greater than a traditional portfolio by as much as 33% over a 20 year period. Fundrise offers four portfolios for investors to select. These portfolios are allocated in part to eREITs and in part to eFunds. Each eFund is structured as an LLC corporation in which you own shares. Fundrise provides different plans or portfolios that cater to different investment goals. The supplemental income plan is designed for investors looking for passive income, have a moderate time-horizon, and are likely planning for retirement in the near future. Expected annual returns for a Supplemental Income plan are around 9.1%-10.1%. Most of the returns stem from income not gains in the underlying assets. The investment is an existing retail property with income and upside potential that has a senior secured loan with full recourse guarantees. The 2-unit condo Fundrise Income eREIT is a senior loan with an investment cost approximately equal to 80% of the total project cost. It features a margin of approximately 40% between the investment cost and projected sales price. All in all, over 39 assets feature in the Supplemental Income category and as new assets are added, investors automatically benefit from greater diversification. The Balanced investing portfolio targets investors who prefer maximum diversification, have a moderate to long-term time horizon, and may be newer to investing outside the stock market. The forecasted value increase over a 20 year time period is higher than what Supplemental Income investors can expect. Over that time period, the projected growth of $10,000 is $74,101 versus $62,556 in the Supplemental portfolio. Estimated annual returns of between 10.0-11.1% are expected based on approximately 4% appreciation in the underlying assets and the balance coming from income returns. The Long-term Growth portfolio is intended for investors who want to maximize returns over the lifetime of an investment. Patient investors with a long-term time horizon who are comfortable with larger valuation swings from one year to the next are ideal investors for this portfolio. 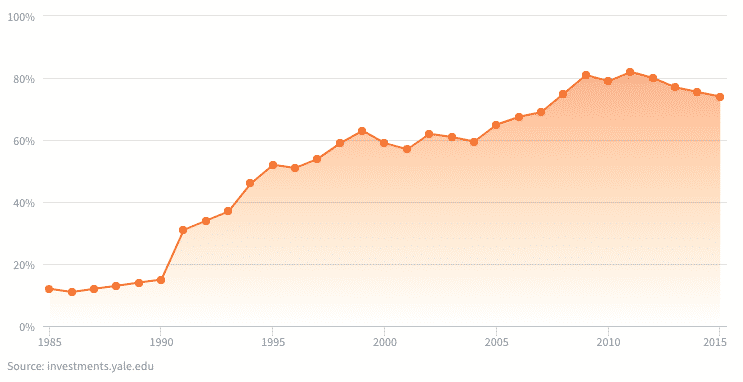 The projected value of a $10,000 investment in the Long-term Growth investment over a 20+ year period is $78,683. This corresponds to a growth rate annually of between 10.3% and 11.4% with gains split almost equally between income and appreciation. The geographic diversification of assets held in eREITs and eFunds is highly diversified in order to lower risk of any one asset suffering from a regional economic downturn. Because Fundrise is an online platform, investors have more flexibility and control over investment selections than is possible via a publicly traded REIT. Fundrise charges low annual fees, has a low account minimum and provides access to a diversified portfolio of private real estate assets in both taxable and retirement accounts. However, tax treatment is less than ideal as you will pay ordinary income tax rates on dividends, unless they are sheltered in an IRA. ✅ Low Fees: Annual fees are 1% which includes a 0.85% management fee and a 0.15% advisory fee. ❌ Taxation: Dividends will be taxed at ordinary income tax rates, but dividends can grow tax-free in IRA accounts. ✅ No Sales Commissions: Unlike traditional private real estate investments, no sales commissions or transaction costs are applied to investments. ❌ Access To Cash: When you invest in an eREIT or eFund, you will generally be locked in for the term of the investment just as you would if you bought a property yourself so you won’t have access to your cash until the investment term has concluded. ✅ Low Minimum: You can get started for as little as $500. ❌ Developer Creditworthiness: It is not clear how creditworthy real estate developers who need financing are and why they choose funding from Fundrise versus a traditional bank. ✅ No Accredited Investor Status: You do not need to be classified as an accredited investor to use the Fundrise platform. ✅ Diversified Real Estate Investments: Assets are allocated across multiple states and a variety of risk profiles to cater to investors seeking income, diversification and growth. ✅ Taxable & Retirement Accounts: You can invest in taxable and retirement IRA accounts using Fundrise. ✅ 90 Day Guarantee: If you are not happy with your investment, Fundrise will buy it back within the first 90 days – subject to some terms and conditions. ✅ Quarterly Distributions: For income-seekers, quarterly distributions are offered, though not guaranteed to provide greater liquidity. The distributions you receive from Fundrise investments are taxed as ordinary income, not as qualified dividends. This means that you may be paying more in taxes on your investment than you would on some other types of investments. The REITs Fundrise offers are not publicly traded. This means there’s no secondary market to re-sell investments to and you’re generally required to commit to the investment for a year. However, Fundrise does offer a quarterly redemption program, so if you’re not happy with your investment you can sell it back at the end of the quarter. Fundrise charges 1% annually of assets under management, which is broken into an investment advisory fee and an asset management fee. Traditional real estate investors will be pleasantly surprised to learn that Fundrise charges no sales commissions or transactions fees. An advisory fee is applied to cover the costs of the online platform, automating distributions, automatic rebalancing, issuing tax forms, and handling investor concerns. The annual asset management fee covers the operating costs of overseeing the portfolios, including sales, financing, accounting, construction and marketing. The tax impact of investing in real estate is not as favorable typically as it is when investing in the stock market. A REIT is required to distribute most of its earnings to shareholders. The Fundrise eREIT is no different and is required to distribute 90% of its earnings to investors, who each receive an annual Form K-1 that lists how much income was received. A K-1 is a tax form that partners in an LLC receive each year. A Fundrise eREIT is a partnership too that issues these forms to investors. Dividend payments are taxed at ordinary income tax rates. However, it is possible to open an IRA via the Millennium Trust Company to allow dividends grow tax-free. You will be charged a $75 annual fee for the IRA. You should be aware that even if you elect to choose the Dividend Reinvestment Program (DRIP) whereby dividends are automatically reinvested to purchase more shares, the taxation remains the same (but it’s worth checking with your tax accountant for your individual situation). Fundrise’s management fees are among the lowest you’ll find anywhere. As of 2019, this company charges an annual fee of 0.85% for managing your real estate investment portfolio. This means that most of your money goes towards your investments, not towards the cost of allowing Fundrise to manage those investments. Fundrise allows you to invest as little as $500 to get started. This allows you to get started right away even if you don’t have a ton of money set aside for investments. Even better, you’ll have access to commercial real estate investments, which are typically more lucrative, even when you invest a comparatively small amount! Fundrise offers a 90 day guarantee on your first investment. If after 90 days you don’t like working with Fundrise or feel this type of investing isn’t for you, in most cases Fundrise will buy your investment back and return your money. This makes Fundrise a very low risk investment. Fundrise offers distributions from investments on a quarterly basis. If your investment earns distributions, you can expect to get money from it four times a year. You can re-invest your distributions, but you aren’t required to; you can do whatever best meets your financial needs. Fundrise staff does all the hard work of buying and selling properties. You just have to direct Fundrise to invest your money and then sit back and collect the distributions. 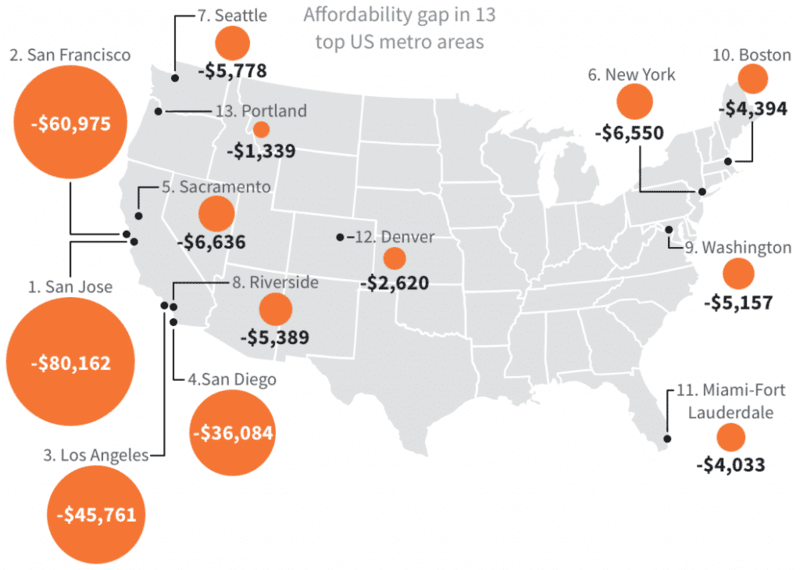 Fundrise aims for invest in core U.S. cities that have urban lifestyles and are walkable. New home buyers are the primary market for its eFunds because Fundrise believes millennial homebuyers are an underserved market. With a pent-up demand for affordable housing among millennials who are looking to move from rental accommodation to homes they own, Fundrise is striving to create a win-win. New home buyers can afford to buy homes while Fundrise generates attractive investment returns for investors. Fundrise enables investors to diversify assets into higher return potential private real estate investments similar to the models used by institutional investors. Historically, investing for the long-term meant allocating some portion of your assets to stocks and some to bonds. But what choices do you have if stock market volatility concerns you yet low savings yields fail to generate enough passive income to pay the bills? For accredited investors, alternative investments were the answer but the general public historically had little choice but to funnel money into the stock or bond markets, or deposit savings into a bank account. Fundrise burst open the door for individuals, who do not qualify as accredited investors, to get access to investment opportunities that were previously off limits. The traditional approach to investing relies on Nobel prize winning research, called Modern Portfolio Theory. Fundrise subscribes to main tenets of this investing philosophy but opens up new opportunities to allocate some assets to private real estate as opposed to selecting stocks and bonds only. The allocation of assets to investment alternatives beyond stocks and bonds is not a new, unproven theory. Major institutions and endowments have been practicing this investment approach for years. For example, the Yale endowment has increasingly allocated to alternatives over time. Fundrise calls this “big idea” of introducing Alternative Investments to individual portfolios to replace some portion of stocks and bonds Modern Portfolio Theory 2.0. The goal is to diversify investors’ assets into higher return potential private real estate investments by applying similar models to those used by institutional investors. So, no longer are alternative investments accessible to a very few privileged individuals and institutions but the playing field is leveled to accommodate anyone who wants to invest and has the minimum $500 available to get started.